Starbucks Coffee Company’s stakeholder management approaches are based on different programs for corporate social responsibility (CSR). The company is an advocate of CSR movements, especially those pertaining to sustainability in business. In the context of corporate social responsibility, Starbucks needs to account for the demands or interests of stakeholders, because the company is viewed not just as an organization for profit, but also as a citizen of society. Thus, the firm must contribute to the improvement of society. Starbucks has already implemented various corporate social responsibility programs for its stakeholders. The current strong brand and corporate image of Starbucks indicates the firm’s efforts to include stakeholders in its strategies and success. Starbucks is effective in its corporate social responsibility efforts, although more effort is needed with regard to the stakeholder group of coffee farmers, as well as the issues of youth rates and tax avoidance in some regions. Employees. Starbucks prioritizes employees in its corporate social responsibility efforts. As stakeholders, employees typically demand for better working conditions, job security and higher wages. Starbucks’ organizational culture emphasizes the employees-first attitude. Employees are also given wages above the legally mandated minimum wage. In 2014, Starbucks boosted its CSR performance for this stakeholder group by giving scholarships to employees based on a partnership with Arizona State University. In this partnership, Starbucks pays for 56% of tuition fees for employees’ junior and senior years at the University. However, the company’s performance in addressing employees as stakeholders has room for improvement. In some countries like New Zealand, Starbucks gives very low wages to juvenile workers (youth rates). These youth rates are often criticized. The firm can improve its corporate social responsibility performance by addressing such issue in this stakeholder group. Customers. Starbucks considers customers as among its top stakeholders. The interests of this stakeholder group are high quality service and products, such as coffee and related beverages. As the world’s most popular specialty coffeehouse chain, Starbucks effectively addresses this interest. 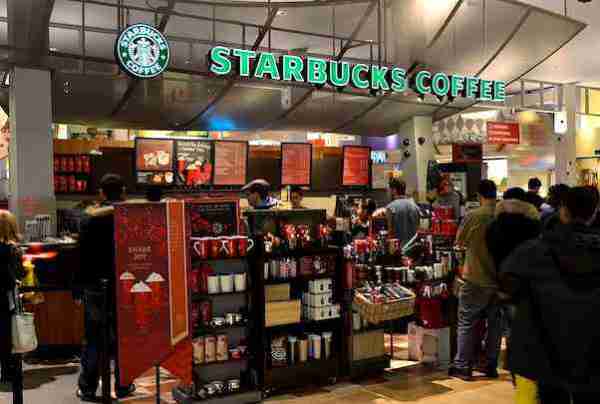 The company also includes customers as major stakeholders by extending the Starbucks culture to customers at its cafés. For example, warm and friendly relations are emphasized within the company and in how baristas interact with customers. Thus, Starbucks Coffee’s corporate social responsibility efforts fulfill the interests of this stakeholder group. Suppliers. Starbucks suppliers are composed of wholesale supply firms and coffee farmers. The main interest of this stakeholder group is compensation and a growing demand from Starbucks. Farmers aim to increase coffee yield to generate more revenues. Starbucks addresses the interests of these stakeholders through a number of corporate social responsibility programs. For example, the firm’s supplier diversity program ensures that more suppliers from around the world are included in the supply chain. In addition, Starbucks’ Coffee and Farmer Equity (CAFE) program requires transparency among wholesale suppliers to ensure that coffee farmers are properly paid. Thus, Starbucks’ corporate social responsibility efforts comprehensively address the interests of this stakeholder group. Environment. Starbucks has corporate social responsibility programs for environmentally sound business. The company’s CAFE program has led to higher biodiversity and shade quality in certified coffee farms. Currently, 90% of Starbucks’ supply is from CAFE-certified farms. This significant figure shows that Starbucks is effective in addressing its corporate social responsibility to this stakeholder group, although there is room for improvement. Investors. As in any business, Starbucks must address investors as stakeholders. Investors have interests in high financial performance of the company. Starbucks’ global expansion and continued dominance in the coffeehouse industry indicates high financial performance. Even though it suffered considerable decline in 2007, Starbucks has recovered and is on a growth path once more. Thus, the firm satisfies this stakeholder group’s interests. Governments. Starbucks must address the interests of numerous governments as stakeholders, considering the company’s global presence. In general, Starbucks complies with rules and regulations. However, the company has been criticized for tax evasion in Europe. Starbucks uses a network of locations in different European countries to exploit tax advantages. At present, much of this system remains, with Starbucks paying unexpectedly low taxes in the U.K. Thus, the company’s comprehensive corporate social responsibility efforts can be improved to address this stakeholder group. Starbucks has high corporate social responsibility performance in addressing the interests of most of its stakeholders. The company satisfies most of the concerns of stakeholder groups like customers, employees, suppliers, the environment, and investors. However, Starbucks needs to improve its CSR performance to reach a 100% CAFE-certified supply chain to maximize environmental benefits. Starbucks can also improve its CSR performance in addressing governments around the world by improving its tax compliance. In addition, the firm can improve youth rates/wages to ensure satisfaction of youth workers in some markets like New Zealand. These are the three main areas where Starbucks can change to boost its corporate social responsibility performance to satisfy stakeholders. Bryson, J. M. (2004). What to do when stakeholders matter: stakeholder identification and analysis techniques. Public Management Review, 6(1), 21-53. Responsibly Grown and Fair Trade Coffee – Starbucks Coffee Company. Shaoul, J. (1998). Critical financial analysis and accounting for stakeholders. Critical Perspectives on Accounting, 9(2), 235-249. Smith, M. D. (1996). The empire filters back: consumption, production, and the politics of Starbucks Coffee. Urban Geography, 17(6), 502-525. Werther, W. B., & Chandler, D. (2010). Strategic corporate social responsibility: Stakeholders in a global environment. Sage Publications.